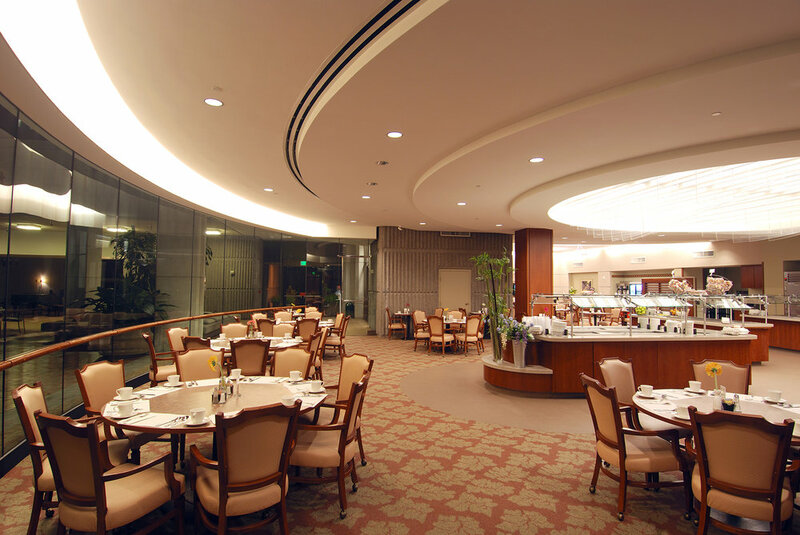 As an accredited Life Care Community, The Sequoias - San Francisco provides its residents numerous amenities, including dining services. 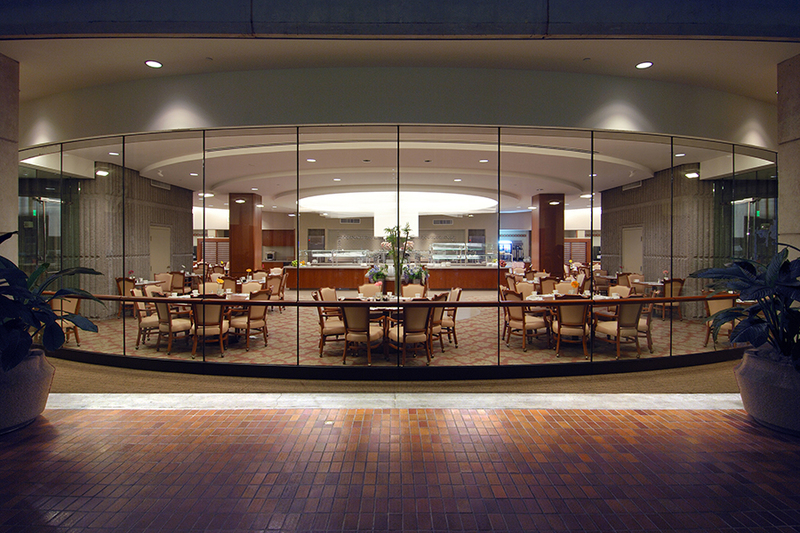 The expansion project at The Sequoias involved the complete renovation of the facility's existing dining areas and associated support spaces. The project design was oriented around crafting a comfortable and familiar environment for elderly residents, with paramount consideration for senior sensibilities and concerns. The new Dining Room exudes a distinctly residential/cafe feel. Extensive use of rich materials, including colored glass wall tiles and cherry wood, create an ambiance similar to that of a home kitchen. A large, radial glass wall projects into the existing Interior Atrium, which creates a welcoming connection with outdoor style landscaping and water features, and introduces natural lighting into the space, similar to a warm breakfast nook.